﻿﻿8 AM - Courses ready to walk. 9 AM - Drivers meeting. Lunch available for purchase at Miriam's Cocina! All Equines and Driver's are welcome! 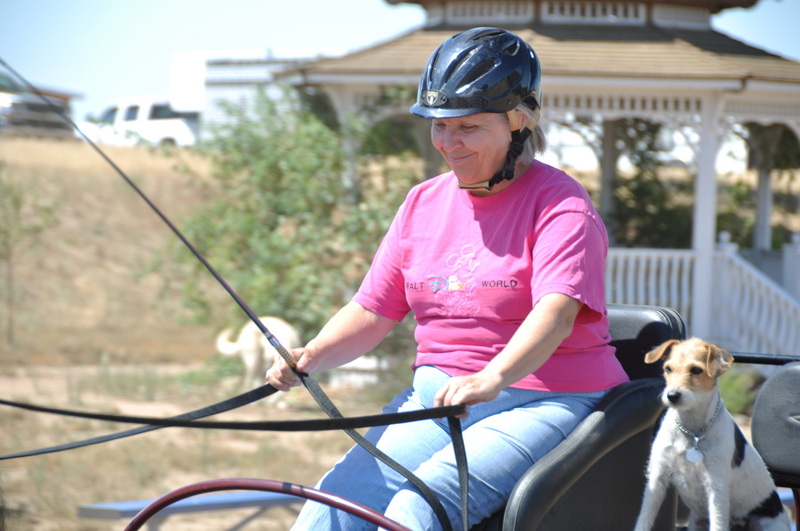 Whether you drive Single, Pair or Multiple, large or small, come join in the fun! Drivers meeting, hitched and ready for safety check at 9am. Courses ready to walk at 8am. No need to enter ahead of time....show office opens at 7:30am. 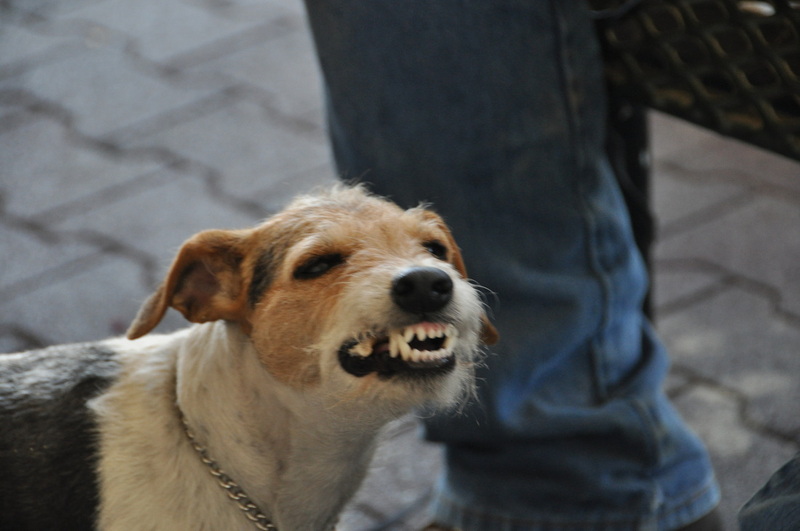 What is the California Scurry? Scurry driving, in various forms, has taken place in the United States and Europe since the 1950s. 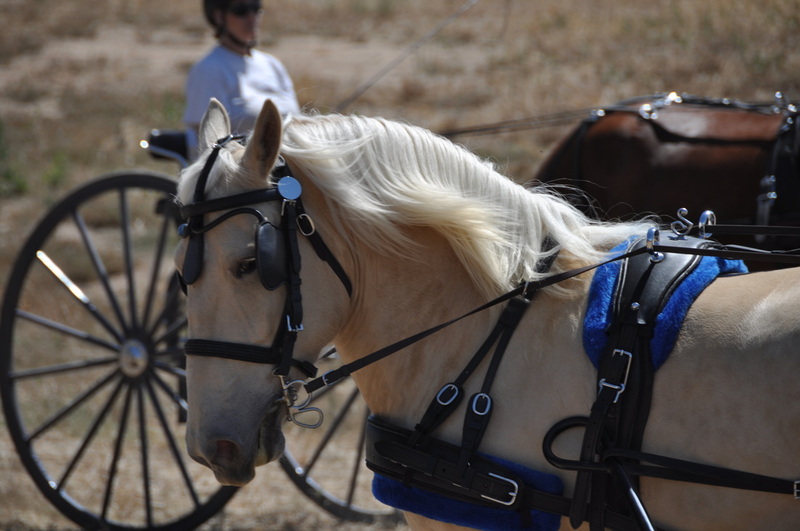 Some derivations specify the size of equine, single or pairs, or the type of vehicle. 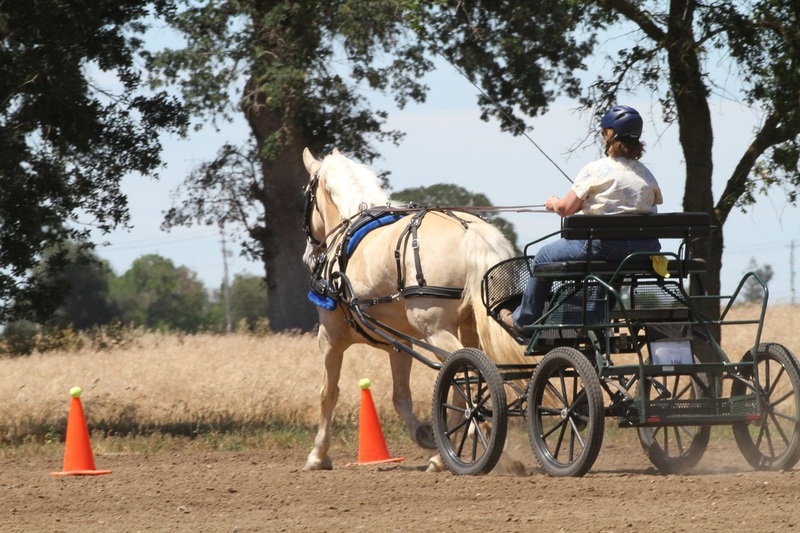 For the California Scurry, anything goes, as long as it passes the pre-event safety check. There is no dress code, but drivers and gators are required to wear safety helmets, and the driver must carry a suitable whip at all times. 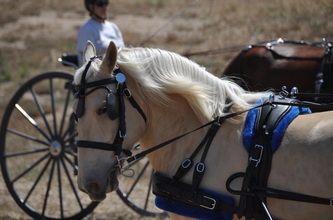 We welcome Minis, Draft horses, and all sizes in between. 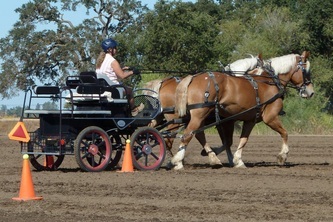 The first Scurry took place in South Carolina, with the original concept suited to Mini and Pony singles. 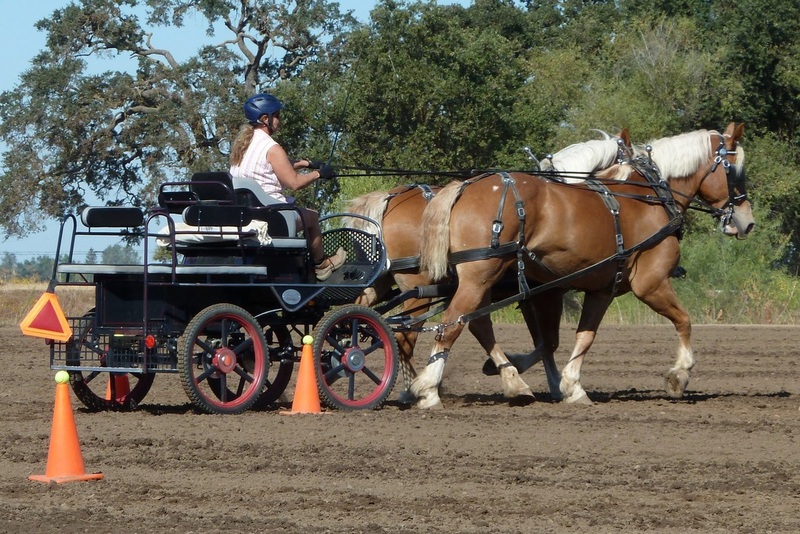 However, we have adapted it to accommodate the Draft Horse community in Northern California. Rather like Dressage Tests scripted by the American Driving Society [ADS], Scurry courses are always laid out in the same pattern and dimensions. Currently, there are five total courses, and three are run at any given event. 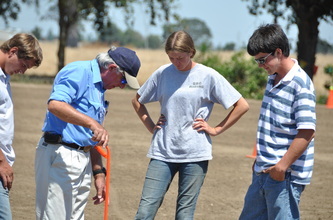 Once the competitors have learned the patterns, they know what to expect when they see the details of each competition. Unlike European Scurries, the California Scurries are not all about speed. 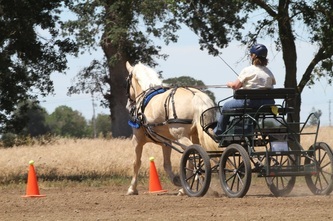 One course is judged under optimum time, which requires drivers to complete the course, at trot, as close as possible to a previously set time decided by the measured length of the course. In this event, finishing under the optimum time incurs elimination. This event tests judgment of pace and accuracy, and novice drivers often beat their more experienced rivals because they do not go too fast. 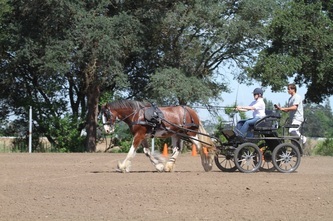 On other courses, the first run is a qualifier, regulated to walk and trot, and the second a speed round at any gait. Two of the standard courses are comprised by a series of ‘gates’ created by pairs of cones, each topped with a tennis ball. All ‘gates’ are set at 6 feet 6 inches wide. Knocking down a ball, on any of the courses, results in a penalty added to the time for the run. 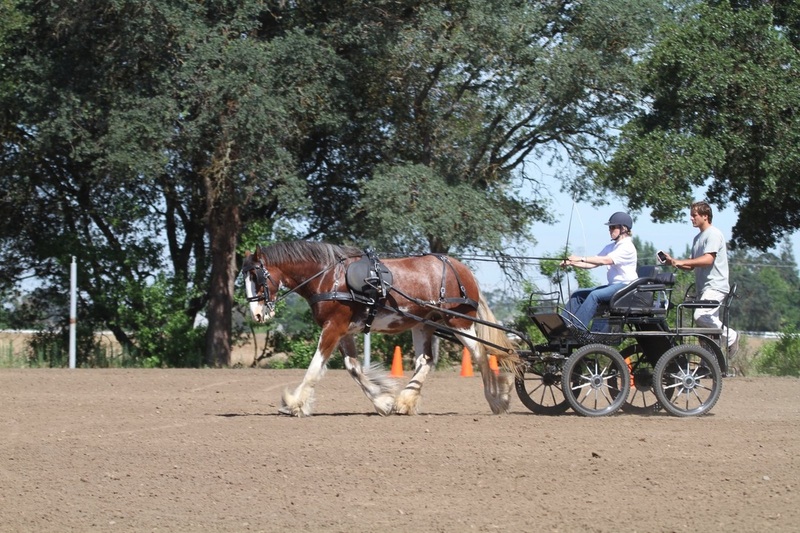 Each course is a separate competition, with divisions for Mini's or Very Small Equines [VSE's], Ponies, Horses, and Drafts, both singles and pairs. Competitors are allowed to walk each course before the class starts. 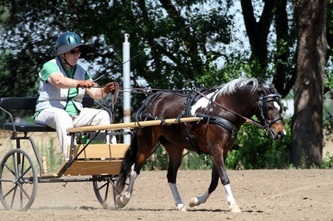 Where entries warrant, classes may be divided to include a Novice category. Scurry driving is a fun activity in its own right, and is also good training for those who compete in combined driving events. Many drivers do not have access to practice facilities with cones and marathon style hazards. 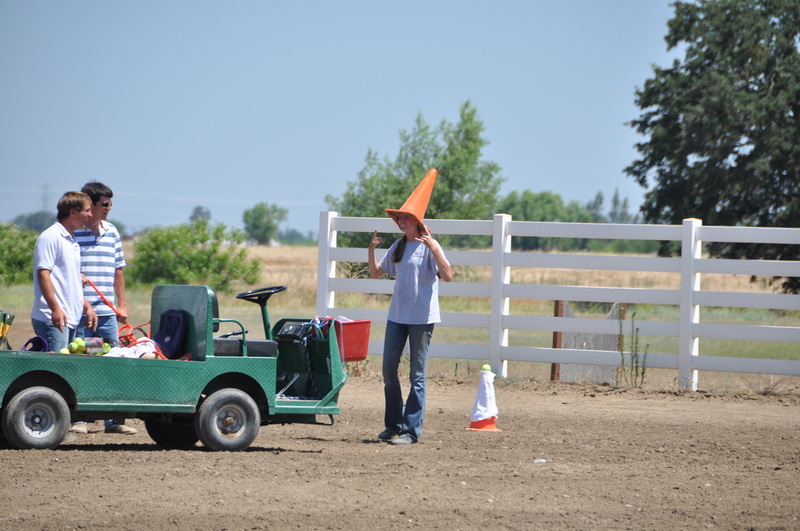 Since the first event in 2010, the standard of driving in the scurry's has improved dramatically. 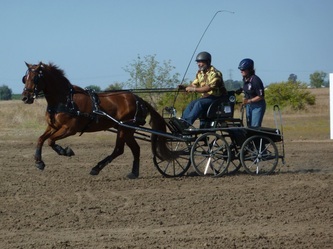 Individual drivers significantly reduce their times for the speed classes, and the optimum time course is sometimes won by a driver within 0.1 seconds of the time. Give it a try! Scurry rules, course plans, and entry forms can be found on the left side of this page. We'll see you there!